A few months back I mentioned that I was going to be in a book! 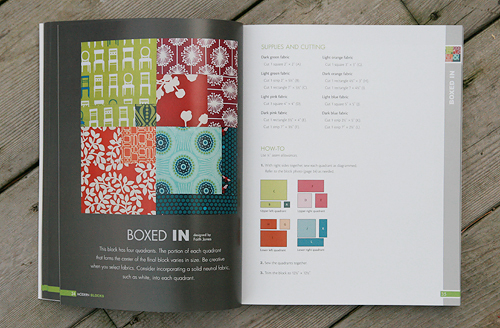 It seems like forever ago that this process started with a submission request for quilt blocks. I want to say it was before Labor Day, 2010. Well a couple of weeks ago I finally received my copies of the book and I must say, seeing my name actually *in* a book was pretty exciting. 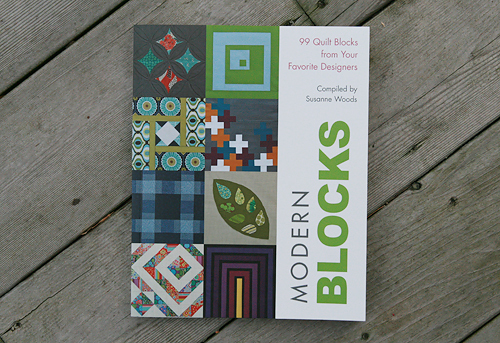 The book is called Modern Blocks: 99 Quilt Blocks from Your Favorite Designers. 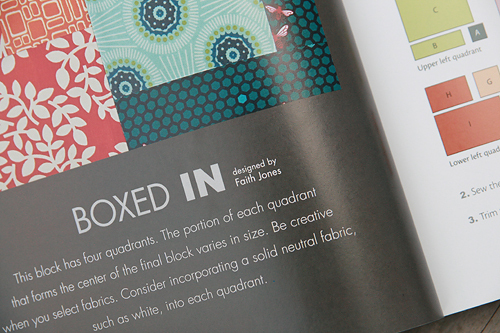 Here is a picture of my block in the book, called Boxed In. 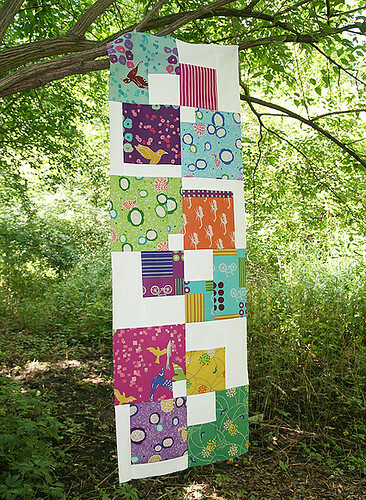 You can use this pattern to make something similar to my Echino Squared quilt, simply by incorporating white into each quadrant. I really think this book has something for everyone. I brought it home to show my family over Thanksgiving. My mom (who is more of a traditional quilter) found lots of blocks she liked and so did my sister (who is a modern quilter). It is available on Amazon and maybe even at your local quilt shop. :) If you make any blocks from this book, be sure to post them in the Flickr group!